This is an one- bedroom apartment of 60 sq.m room, situated on the second floor of Pontenani Building. 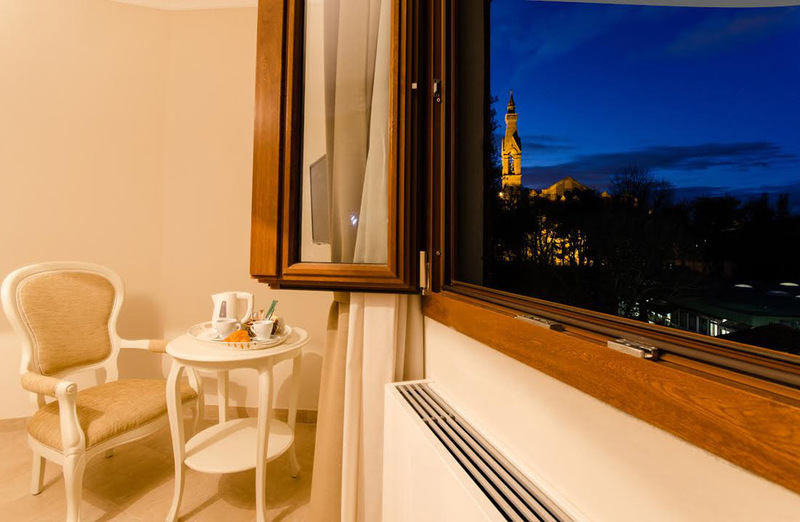 The spacious suite with a view of the belfry of the Piazza Santa Croce is furnished in a classic contemporary style. 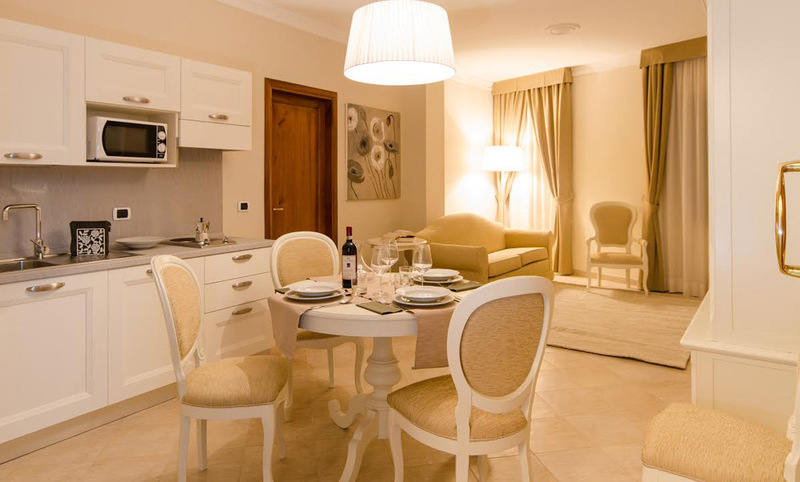 This suite features a living room area, with a big table and a double sofa bed for two people. The bedroom has a queen size bed, with a walk-in closet. (The measurement of the double bed: 203×173). There is a fully equipped kitchen, as well as a bathroom with a shower. The apartment can accommodate up to 2 people in the bedrooms and 2 people in the sofa bed, (there is a fee of +€15 per person for this last request).